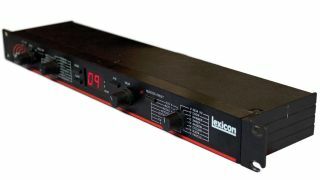 30 years ago, Lexicon was the name in reverb. Their advanced algorithms were the envy of all, and the boxes that produced them were pricey, overdesigned affairs aimed at pro studios. However, by the early 90s they’d begun trundling out a handful of stripped-down, cut-price effects aimed at the burgeoning home and project studio market. Predictably, these cheaper boxes were of the bread and butter variety, offering reverb or familiar pitch- and time-based effects, and clearly designed to get the ‘Lexicon sound’ into the hands of bedroom producers who couldn’t afford gear from the big boys. They suffered from less-than-stellar sample rates and a lack of hands-on control, but they were serviceable and successful. In 1993, though, the company’s budget line took a hard left turn. After the bland (if popular) 1U reverb called Alex, Lexicon unleashed a pair of processors that were unlike anything else they’d produced. One - the JamMan - was a nifty digital looper designed to replace the tape-based sound-on-sound layering loved by purveyors of ambient loop music - think Robert Fripp. Though it wasn’t the first dedicated digital looper, it was the first to reach a mass market. The other product in Lexicon’s new line, however, was something entirely new. Called the Vortex, it was, at face value, a fairly standard pitch- and time-based processor capable of generating all manner of tempo-synced delay, chorus, flanging, and phaser effects. Pretty standard stuff, you might think, and you’d be right. The effects themselves were not terribly remarkable. However, Lexicon’s engineers had embedded into this new machine something that had rarely - maybe never - been seen before: the ability to morph between any two patches over time. To understand why this caused excitement, one must consider that the word ‘morph’ had only recently come into the popular vernacular, thanks to the then-cutting edge computer graphics seen in the recently-released James Cameron film Terminator 2: Judgment Day, and the video for Michael Jackson’s Black Or White. Could such an effect work in the audio realm? Certainly, there were academics working on ways to morph digitally resynthesised sounds, but such technology was quite experimental and not inexpensive. Lexicon’s approach was to apply the idea instead to effects algorithms and their associated parameters. Not to be confused with merely crossfading between two sounds, this approach to morphing lets the user gradually shift between two complete, independent presets. This takes place over a user-defined period of time. It’s a strange effect, and one that works best when performed slowly and exposed in a mix. The sounds in between the source preset and the destination are often wholly unpredictable and inspiring. The Vortex was not a massive success at the time, and didn’t remain in Lexicon’s catalogue for long. It was, naturally, only embraced by experimental musicians after it was discontinued. Oddly, there are no direct plugin emulations of the Vortex in the realm of software. We’ll keep hoping, though! 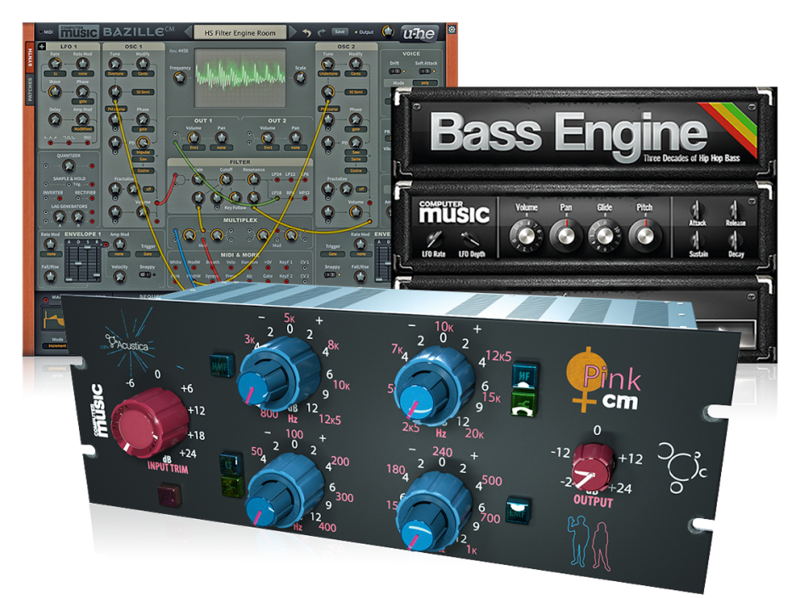 These cool Max for Live devices are all about morphing and its many variants. Reminiscent of the Vortex’s main gimmick, the PresetMorph device can collect and import device presets and smoothly interpolate between four of them - an obvious boon for Ableton Live users. You’ll need to be on Live 9 and higher, and own a Max for Live license. Read more about J74 Morph. This Reaktor ensemble comes free in the Reaktor User Library. Inspired by the Vortex, it lets users morph between two effects. With two delay lines and loads of modulation, it’ll show you what the Vortex is all about. The only catch? It’s coded for Reaktor 5 and lower, and may not work in the current incarnation. Another oldie, but this one has stayed up to date. OhmBoyz is an exercise in lunacy centring on a stereo multitap delay, resonant filtering and oodles of modulation (39 LFOs! ), plus the ability to morph between patches. Being an Ohm Force plugin, it has a cool alternate interface. It’s a classic nowadays, and well worth the paltry asking price.